Welcome friends! 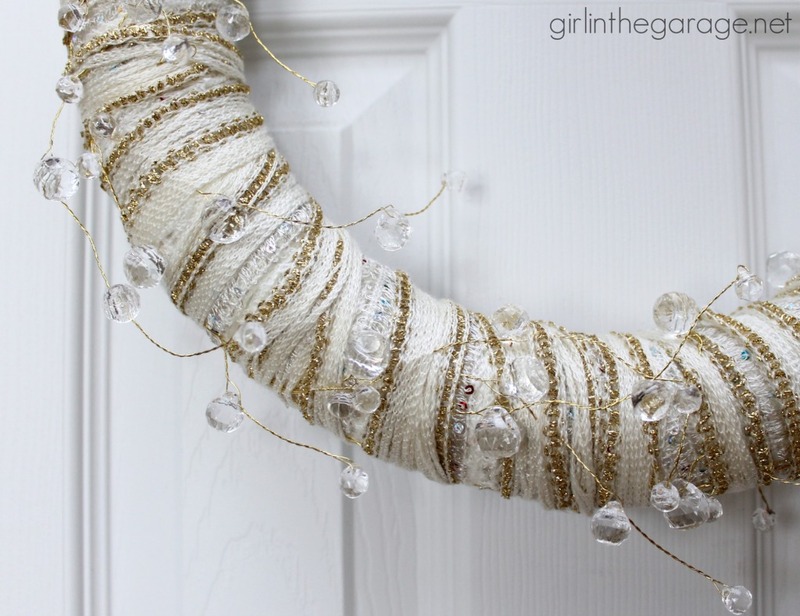 Today is day 2 of the Welcome Home Christmas Tour, and I’m sharing my foyer decorated for Christmas and also a gorgeous DIY yarn wreath tutorial. 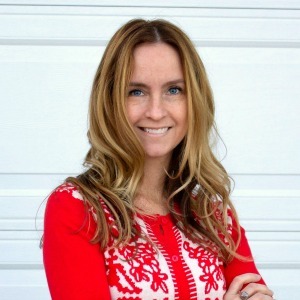 Be sure to visit my lovely friends at the bottom of this post for more holiday inspiration! Tie a knot with your first yarn (tuck the loose end under) and keep wrapping until the wreath is covered. 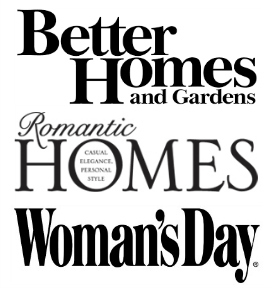 Alternate thicknesses by overlapping in some areas. 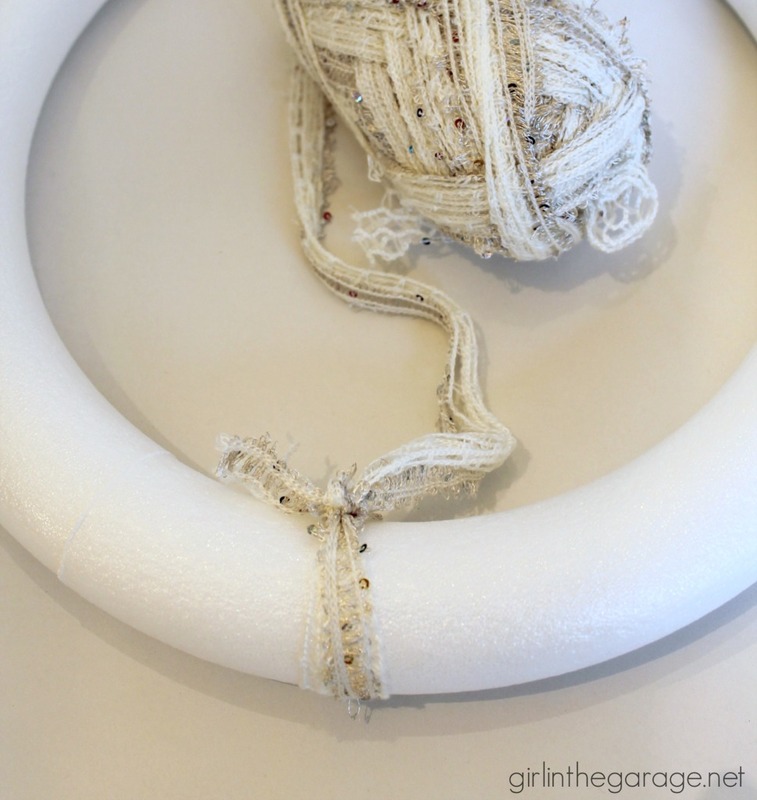 Do the same with the second yarn, making sure to let the first peek through sometimes. 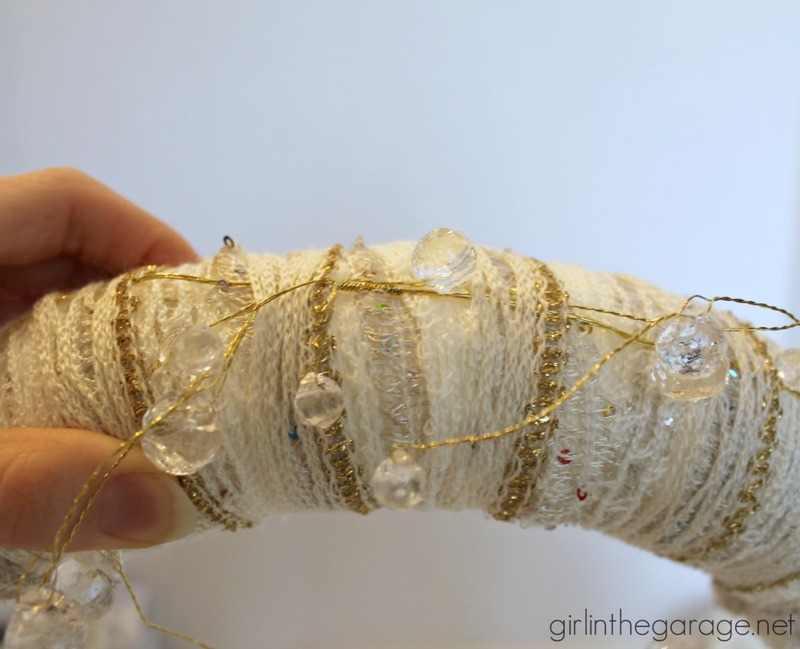 Take your garland and attach it to the wreath by wrapping the yarn tightly around it. Shape as you go and leave some strands free. 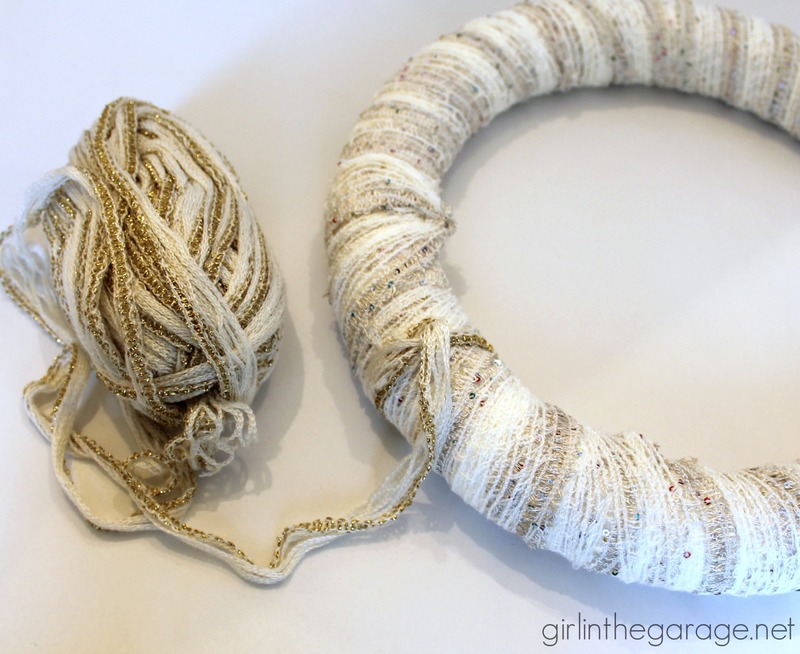 At the end, tie the end of the yarn in a knot and tuck it under. 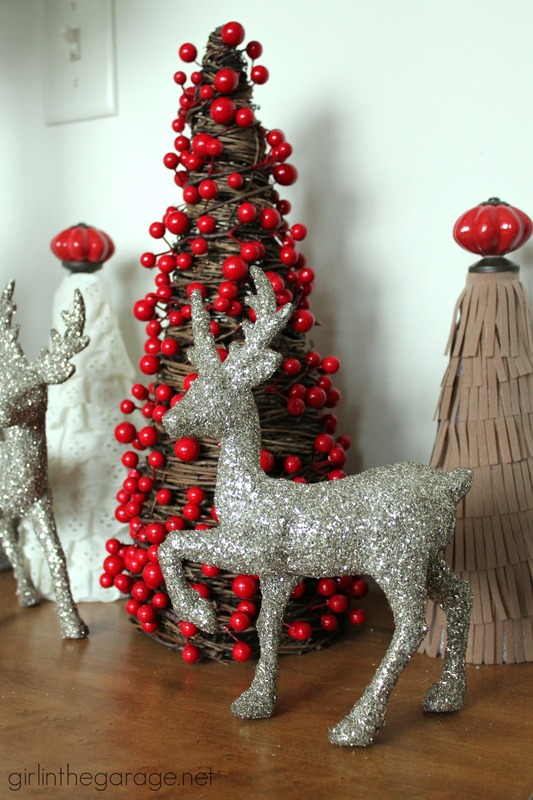 Go HERE for my fringe and eyelet DIY Christmas tree tutorial. The mirror was a yard sale find and the table was from Craigslist. It took me a long time to find the right pieces for my foyer and I love these two together! 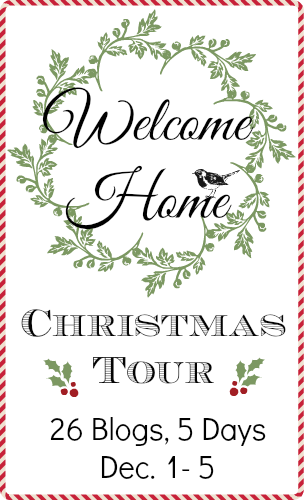 I’m revealing it all next week as part of the Home for the Holidays Tour, so come back! 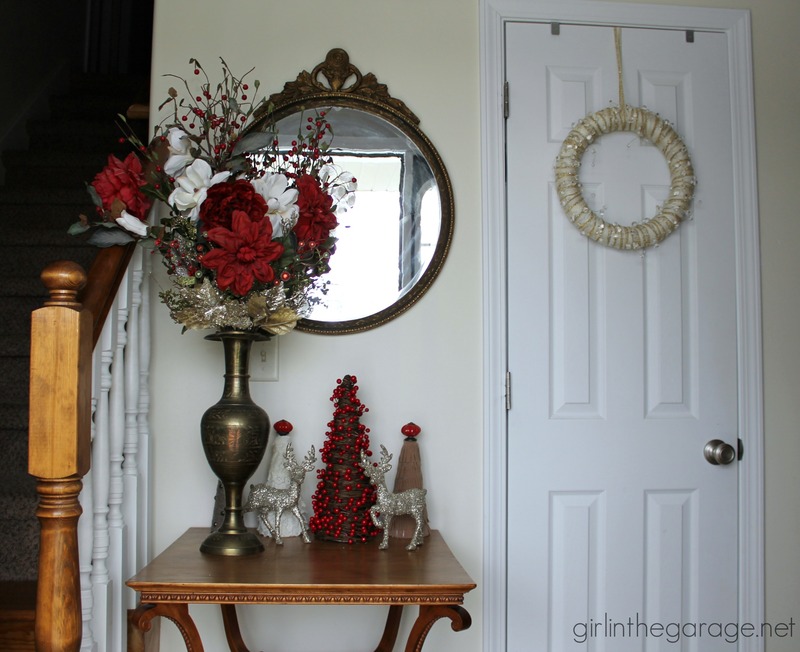 Gorgeous wreath and foyer decor Jen! It’s all so welcoming and festive – love the sparkle! Pinning! I am REALLY crushing on your wreath. 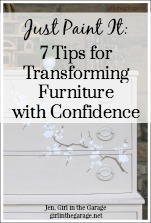 Your whole foyer says welcome! Thanks for sharing on the tour Jen. Gorgeous job on the wreath Jen! I am in love with the table and mirror beside it! Pretty wreath Jen!!! I love your red in the foyer too!! Looks great! Pretty wreath! 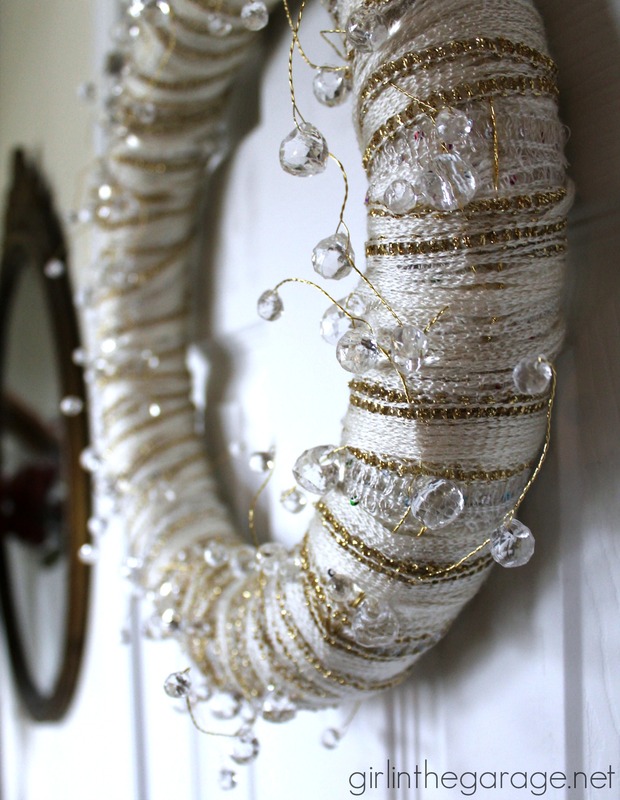 I think I’d leave it out all winter to add some sparkle to your foyer. 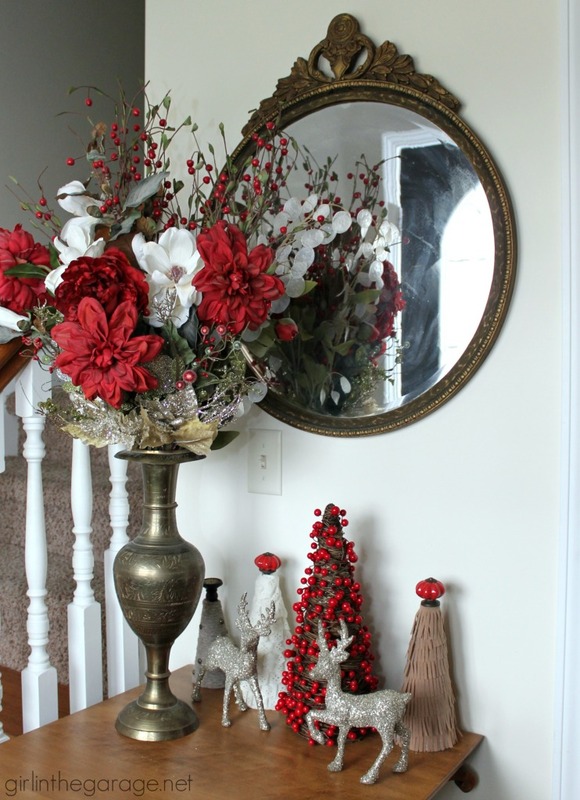 You’ve created a festive and welcoming entrance for your holiday guests. I’m looking forward to seeing the rest of your decor. Very nice! I wish I had a foyer to decorate! So much fun! I love the table and mirror together too! 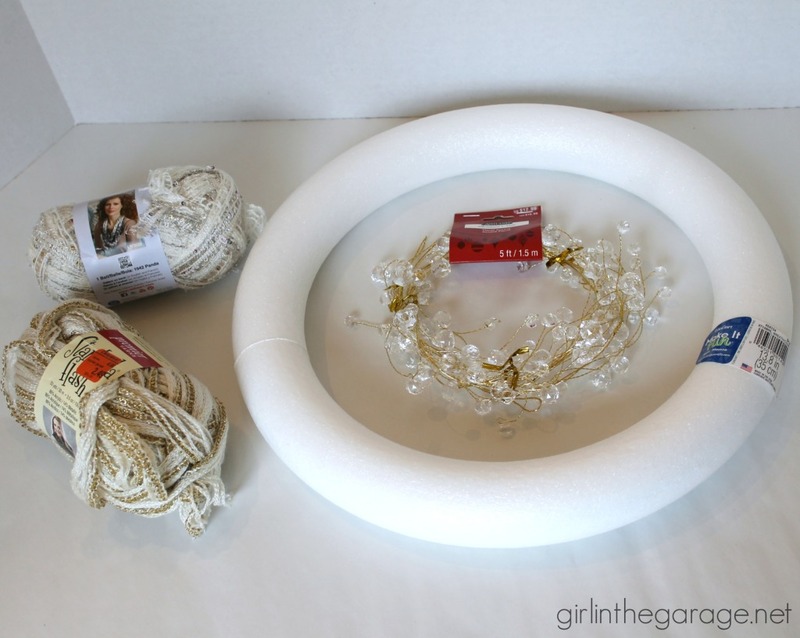 I love the wreath, it is so easy for such a big look! I am love, love, loving your table and mirror!!!….. 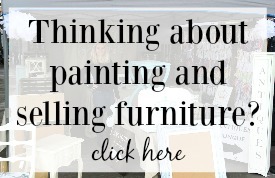 If you decide to change it up and sell that table, please put me on the list !!! It is all so pretty! Love the sparkle on the wreath. 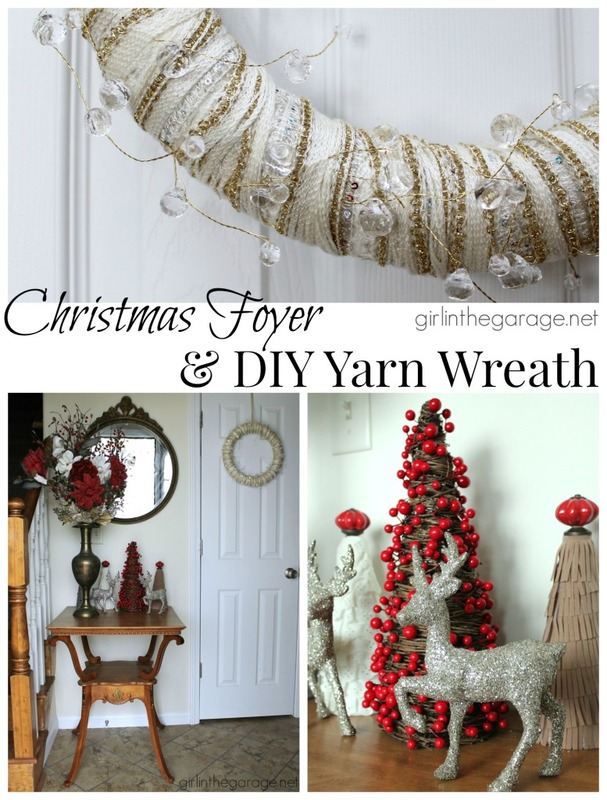 I love you pretty Christmas wreath and beautiful holiday foyer! I recently added a pom pom holiday wreath to my family’s home — and the kids and I are working on putting a DIY Christmas village together! The red makes everything pop! Looks beautiful!! 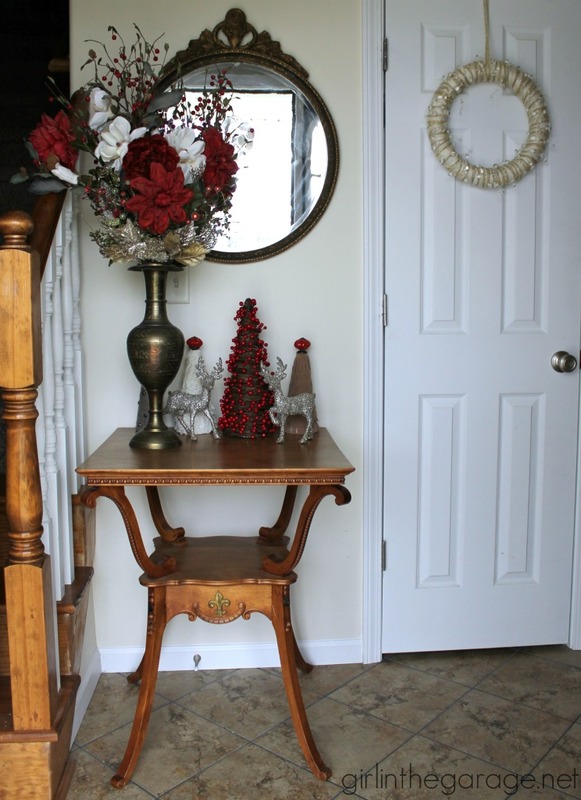 Beautiful welcoming foyer and wreath Jen! I love the contrast of the bling on top of the cozy yarn. LOVE your wreath! Your foyer is so pretty and festive! LOVE your wreath! The yarn you used is beautiful. 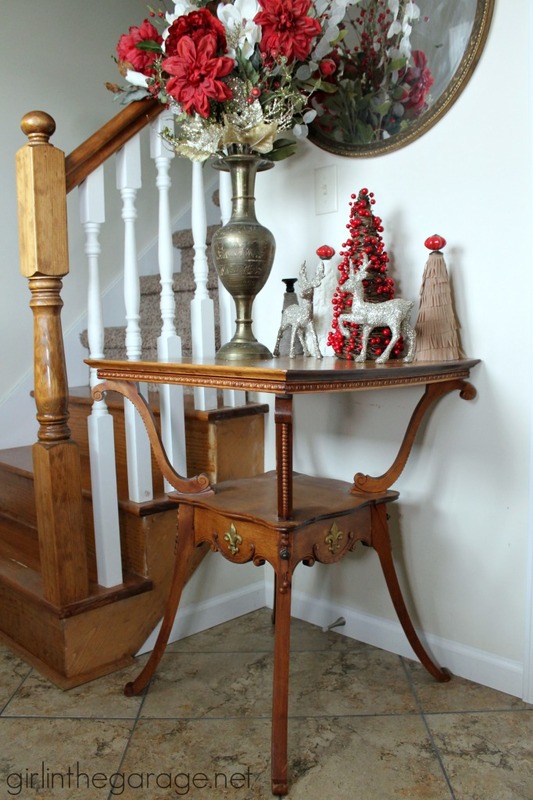 I also love your little foyer table. 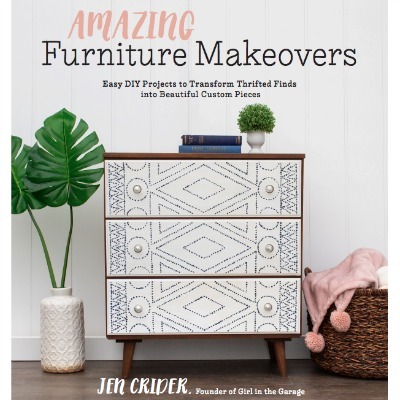 It is perfect for your space and it is so pretty! Happy to be touring with you, Jen! Very pretty! 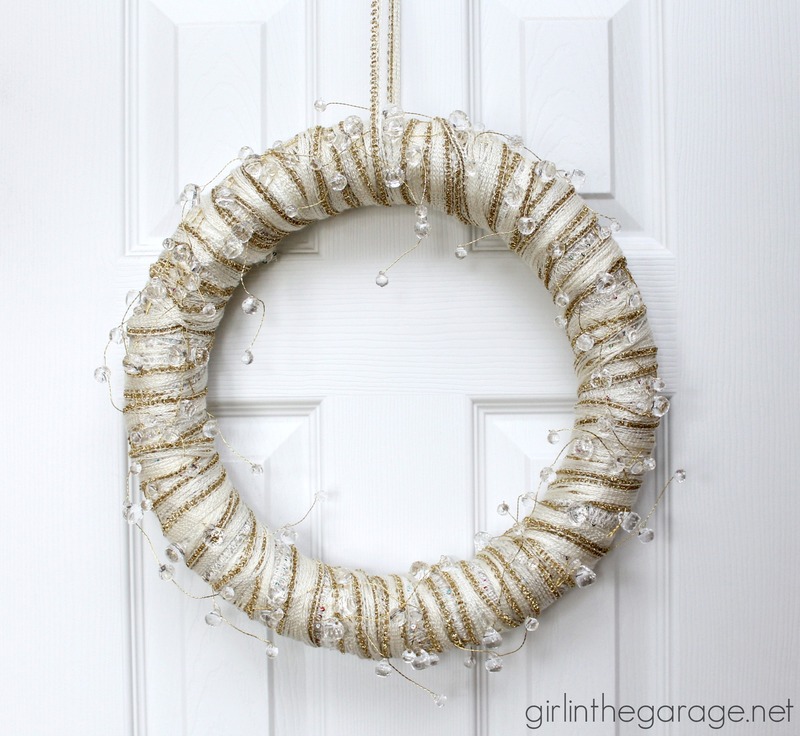 You could really even use the wreath beyond the holidays. Merry Christmas. Love your wreath and your foyer is so warm and welcoming!